Overwhelmed? Confused? It's ok! That's normal. Cloth-eez Wrap is simple and economical and Thirsties Duo Wraps are most popular. Nearly everyone loves those covers! But some moms know right away they only want the highly breathable wool covers. Some find the idea of the Stay-Dry effect really important to them. Link to Cloth Diapering 101 Videos. For first-time parents: The quick course on choosing cloth diapers. First, determine your dedication to cloth. This will help you decide if you want to invest in a full time system, or just give cloth a try. If you just want to give cloth a try, get 2 covers, a half dozen or a dozen diapers and a pack of wipes. Here is a sample order for someone who just wants to give cloth a try. Prefer snap closing diapers? Get the Give it a Try Kit. 6 diaper covers of your choice such as Thirsties Duo size 1 snap and 3 dozen Novice light green edge size prefold diapers. If you add 4 packs of Two-Sided Wipes and an Pail Liner, the total is about $240.00. The pail liner and the wipes are used for a very long time, so it makes sense to buy them right away. The diapers fit from about 9 pounds to about 5 months or 15 pounds. But the diapers will be big for the first 6 weeks on a typical newborn - but since size novice light green are 2 layers less in the center than the size small yellow edge prefolds are, it is easier to fold them down in back so they'll fit on a newborn. You can make it work if it's important to save money by skipping size newborn, but really to get a good fit on an average newborn, you need newborn prefolds. On a large newborn, birthweight of about 9 lbs 3 ounces or larger, do start with either size novice or size small prefolds and skip newborn. You need doublers anyhow at some point, so pick up a pack or two of doublers. Thirsties Duo size 1 snap or Cloth-eez Wrap size 1 are a great choices for the covers because they adjusts down to very small and up to around 15 pounds without being as huge and unwieldy as the so-called one-size-fits-all choices that really just don't fit a newborn baby and wear out before potty learning anyhow. Add 2 individual size XL Toddler green edge prefold diapers as your washable changing pads. If interested add a Snappi Fastener. Don't forget to add your free pins and The free 16 page How-to Booklet which is a treasure-trove of information about washing diapers. If you forget to add the booklet to your cart, we will still send a 2 page shorter version with your order called the Quick Start Guide. For the newborn time (the first 5-6 weeks) 2 to 3 dozen Orange Edge Newborn prefolds and 4 or 6 newborn covers. 3 dozen and 6 covers is really better than 2 dozen and 4 covers because some days a newborn baby will go through 20 diapers in just one day! This frequency decreases as baby gets older, but newborns really eat and pee pretty much constantly (well, they sleep too, but I also sleep when baby sleeps so the sleeping part is actually hard for me to remember). A new baby's bladder doesn't have much capacity to hold pee so baby pees very, very often, (yes very often!) thus a new baby needs a lot of diaper changes. Newborn diapers that fit are really nice for the first 6 weeks even for bigger than average babies, who may outgrow them sooner, but even a big newborn is still shaped like a newborn baby. 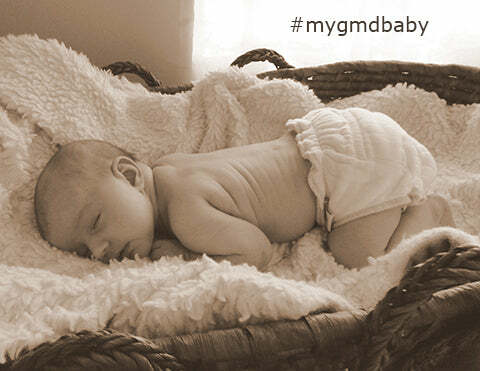 If your baby is average or small, newborn diapers make the difference. Instead of "these diapers are HUGE on my newborn" or "I can't cram these huge infant prefolds into these teeny tiny newborn covers." You'll enjoy diapering during your "babymoon". With the Orange Edge Newborn prefolds, you'll have diapers that truly fit in the Newborn Bummis Super Brite newborn covers or Cloth-eez Wrap size zero or other covers that fit under the cord stump. Orange Edge Newborn Diapers are less expensive than double diapering the newbie grey edge size prefolds, but newbies size prefolds are an option instead of newborn and the newbie do make great doublers later on. Newborn orange edge prefolds are shorter in length than green edge Infant prefolds you'll find elsewhere, so they really fit. But be aware they will get outgrown quickly. See the prefold information page for pictures. At just over $2.00 each, orange edge newborn prefolds are far less expensive than newborn fitted diapers, for comparison, and one-size fits all diapers just don't work right on a newborn. If you spend more, you are mostly buying convenience. All of the items we sell work, so spending more doesn't give you a more effective system, but might give you a system that is a little easier to use. (Well, sort of. The fitted diapers do hold runny newborn breastfed poop in better, so in that sense they work better, but don't get me wrong, prefolds work great, too. If you pin or Snappi fasten the prefolds, they work almost like a fitted does for containing poop.) The easier-to-use fitted diapers might be important if one spouse is reluctant to use cloth. If your budget allows fitteds, they can be worth it. Put together your own fitted diaper setup and save money by choosing Workhorse fitteds. Sometimes 2 dozen prefolds plus 6 or 12 Workhorse fitteds is a nice setup. Fitted diapers, just like prefolds, do require a cover so you'll need about 6 to 8 covers too. Medium budget but not quite sure you want to fully commit to cloth? Try the Give it a Try Kit. If price is not of importance, consider 10 Thirsties Natural Newborn All in one diapers and 12 Workhorse diapers and 12 prefold (prefolds are always wonderful no matter how large your budget is) and 5 or more covers of your choice. 4 dozen Cloth-eez Birdseye Flat Diapers These wash and dry the easiest and fit birth to potty learning. Add about 5-10 covers per size as budget allows. 5 Thirsties Duo size one for the first several months, and then after those are outgrown, move up to 4 Thirsties Duo size two and 4 Flip Covers, which often fit to potty training. Make your own wipes from cotton flannel, or get 4 packs of Cloth-eez wipes, 1 triple pack of snappis and 5 pairs or more packs of high quality Diaper Pins. That is birth to potty for around $280 or so. Add a dozen Birdseye diapers in size Half to use for the newborn weeks and they are perfect doublers for when you need more absorbency than one diaper provides but double diapering is too much. Be realistic and remember things wear out eventually, including covers, so you can end up re-buying covers before potty learning if you don't have enough covers in rotation. If you have 10 covers they last twice as long as if you have 5 covers. Starting with 5 can be ok though because of the timing of the purchases in your budget. Also be careful if you purchase second-hand. Newborn items can be in good shape because they get outgrown quickly, but size medium and one-size items are typically quite worn out because babies stay in that size a long time. Even on a tight budget it can be better to purchase new at times if you need things to last well. If you do purchase second-hand, be safe and kill bacteria by using chlorine bleach to kill lingering bacteria in used diapers. We recommend purchasing new because they are diapers after all, not quite regular clothing. This is a sample stash for birth to about 5 months, or about 15 pounds, including accessories, which endure longer. 1 Bummis Super Brite size newborn and/or 1 Cloth-eez Wrap size zero because these two are the best for a good fit under the cord during the cord time. Items can be added to the cart individually. Consider adding 1 each of the medium red edge and intermediate blue edge prefolds so that you have each on hand to try. This way you will know what is best for your baby when the time come to move to the next size up. In the newborn time you can still use them as changing pads or as burp cloths. What about the stay-dry all-in-one type diapers and pocket diapers I see everywhere online? Bamboo? It's really rayon, and if you research the chemical process that it must go through from plant to fabric, you might also wonder how this can be referred to as "natural". Besides, as a diapering fabric I found it very heavy, harder to wash and very hard to dry, although not as difficult as polyester or polyamide microfiber. We tried carrying bamboo rayon prefolds for about a year, but we discontinued them. The shrinkage problem was significant and the inability to bleach them without ruining them were show-stoppers for us. Sometime babies get sick and you need to use some bleach, but you can't really do that to bamboo rayon. You can do that to cotton successfully. So we learned our lesson and went back to the tried-and-true 100% cotton prefold diapers. I still love cotton the best. What about "stay dry"? It is preference. We do offer several stay-dry diapers and doublers and a stay-dry fleece liner for those customers who desire that. I know the TV commercials say "keeps baby dry". We are "overmarketed" into believing that damp cotton next to baby's bottom is a problem. It's really not! Just change baby before it's totally sopping and baby is fine. Every 1.5 hours or so for a newborn in daytime, 2-3 hours for an older baby for daytime. This varies of course. Frequent changing is healthy! When you have cloth diapers, you have freedom to change often if you want to. A few "extra" diapers to wash is no big deal. It's not like throwing money away each time you change baby. It's a wonderful freedom to change baby as often as you want to without the guilt of throwing away money and adding to the garbage pile. I love the freedom of cotton diapering, with real cotton. 100% cotton next to baby's bottom, in our experience, is the best for a rash-free bottom. Sometimes overnight when baby is old enough to sleep through the night, the stay-dry layer can be helpful. More fabric information on our Diaper Definitions page. Karen's opinion on breathability: The only covers that you can really tell are very breathable are wool. All of the synthetics (non-wools, or "regular covers") are fine inside, but in real life I notice no difference in breathability from one brand of cover to the next. So don't get hung up on trying to figure out which regular cover is the most breathable. Pick which one suits your baby for fit, price and other reasons instead. Yes, there are a lot of choices. But remember, picking out your diapering supplies is the hardest part about cloth! Take a deep breath. Spend some time reading the site and studying the pictures. There is a lot of information here, so expect to spend time studying and learning. Then just go for it and choose what seems interesting to you. We do have an easy return policy, to help relax the difficult decision process. Cloth is so soft, fun and cute! You will be very glad you have chosen cloth (and perhaps happy to finally have this product selection process over with, too!) Please stay awhile and browse with us. We are happy to share our love for safe cloth diapers with you. Sincerely, Karen. Don't miss the pictures of newborn babies in cloth! 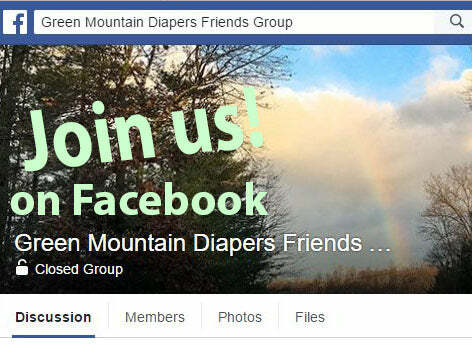 Join our closed Facebook group Green Mountain Diapers Friends Group for friendly help and support during your cloth diapering journey. How to put a cloth diaper on a baby doll. How to use a prefold diaper on a newborn baby is at the 8 minute mark.